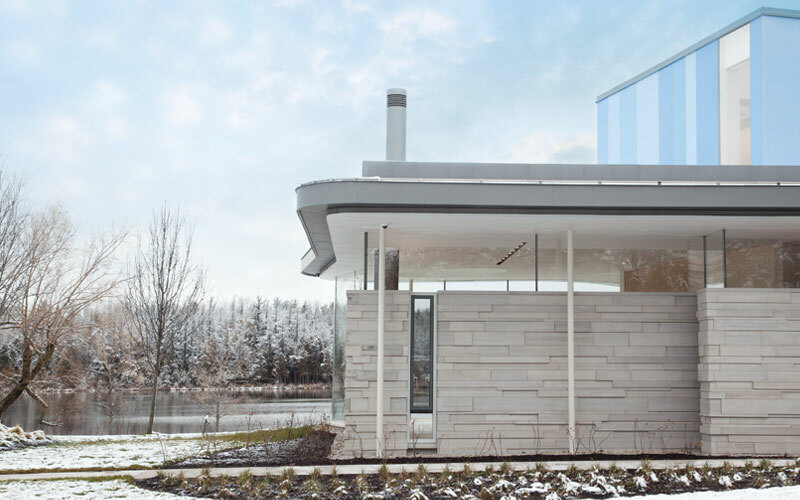 Located on a private lake, this light filled residence embraces views out to the landscape while simultaneously providing privacy from approaching visitors. 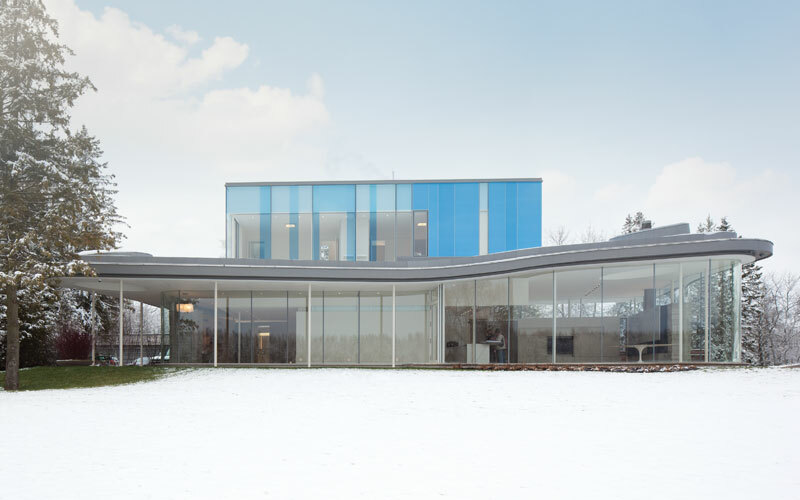 The ground floor is contained under a single “floating” roof. 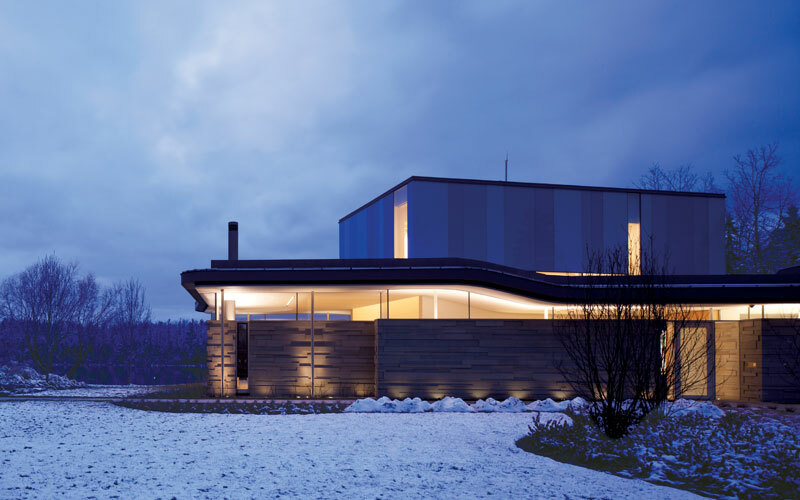 A rectangular core, containing the master bedroom, kitchen and service elements, extends up through the roof to become a second storey with two additional bedrooms. 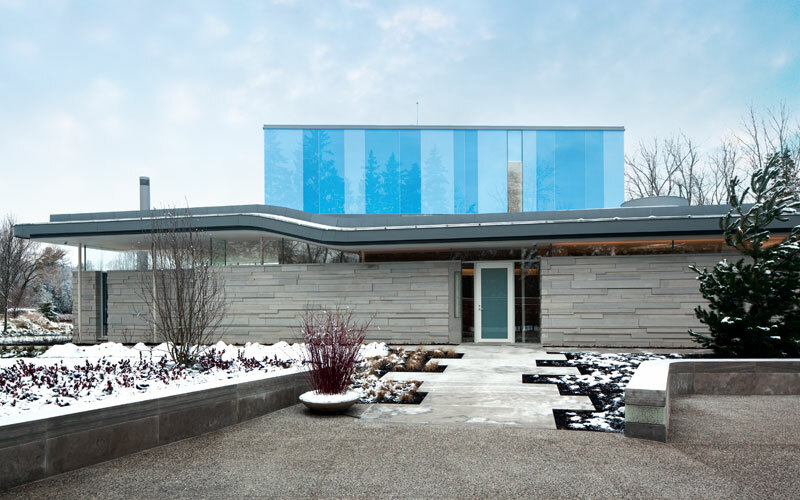 The changing colours of the sky inspired us to clad the upper volume in shades of blue glass, selected from photographs of the sky taken at the site. 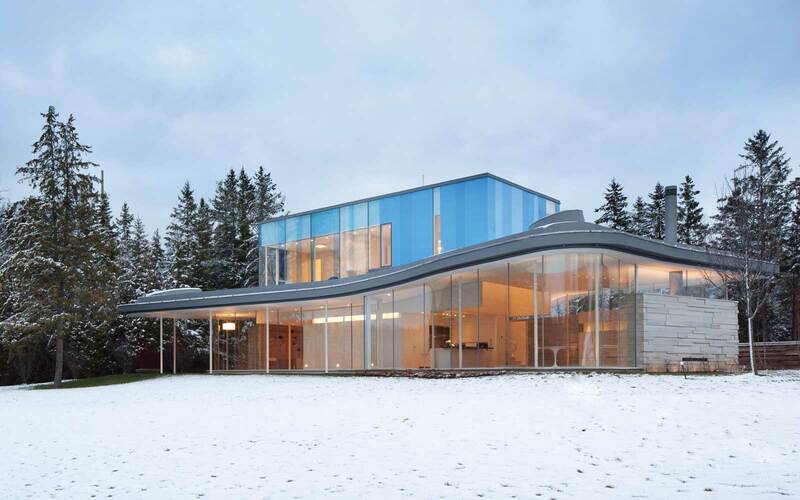 An essay in natural light, the great roof is pierced by three elliptical skylights each providing a different way of experiencing the progress of the sun. A continuous linear skylight wraps around two sides of the core. 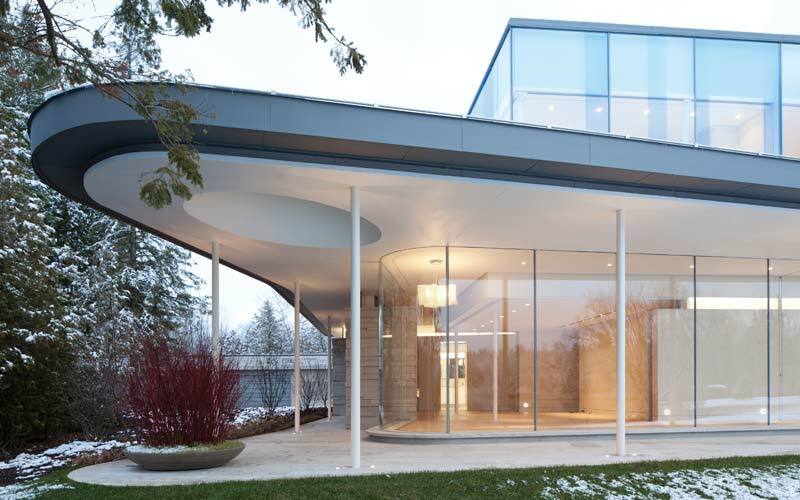 A pavilion that embraces the landscape, the front façade is composed of staggered planes of Ontario limestone. These provide privacy from the road and appear, on first impression, to be garden walls together with the low stone walls that define the forecourt. Contrasting with these rectilinear walls, the floor to ceiling structural glazing softly deforms to embrace the view of the lake, curving out at the corners to provide dining and seating areas. 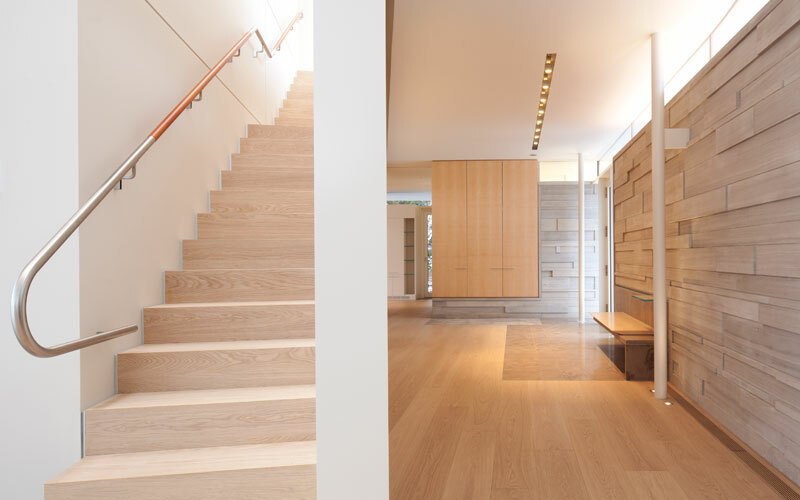 Images by Ben Rahn/A-Frame Inc.